There are many levels at which you can become a racehorse owner and it’s not always as expensive as you might think. As the sole owner of racehorse, all profits and costs will be yours. The horse will race in your individual name and you will have a close involvement with any of the decisions regarding the horse. If the horse you own is unnamed, you will be able to choose the name of your horse and also you can choose your racing colours. For two or more registered owners that wish to own a horse together. Partnerships are likely to comprise family or friends and allow owners to share in the responsibilities of racehorse ownership. For a group of people coming together to own a horse but who do not have to be sole owners in their own right. The ownership is managed and set up by a syndicator who is responsible for the syndicate. A syndicate often comprises a larger number of people than a partnership. It is possible for an individual or a partnership or syndicate to lease a horse for a period of time from the owner. Usually in this situation, the lessees will pay all the training costs for the horse and will also receive any prize money won by the horse for the duration of the lease. This can be a good of way stepping into racehorse ownership without the initial outlay of purchasing the horse. For a group of people coming together to experience the thrill of racehorse ownership. The club manager will be responsible for the club but unlike in a syndicate, members of a racing club do not own the horses. Instead members are likely to pay a subscription in order to enjoy some benefits of racehorse ownership. 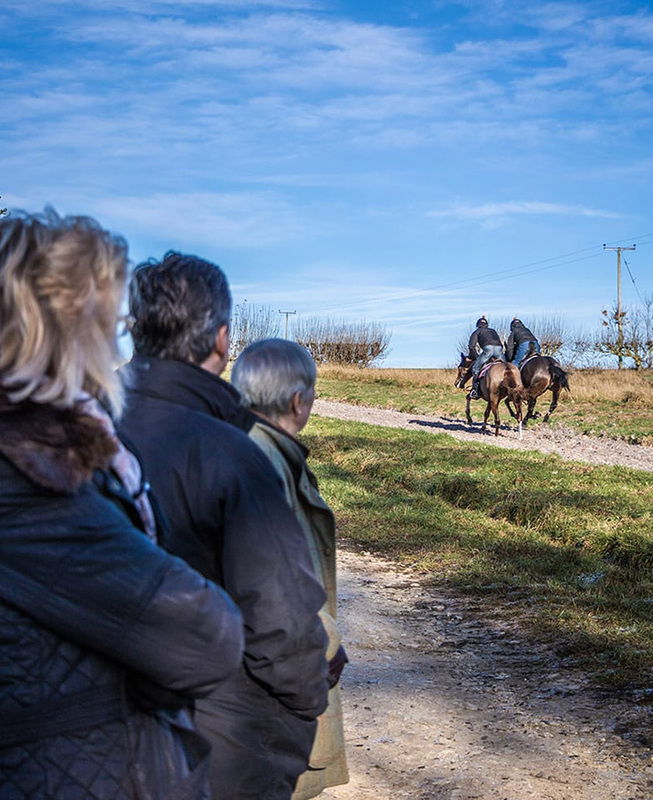 Our entry level ownership is The Adlestrop Club where a horse is leased to the Club, which consists of approximately 50 members. At only £35 per month or £400 annually, it is a great way to get involved for very little outlay. You are welcome to come to Adlestrop Stables and watch the Club horse on the gallops whenever you like. When the horse races, you will be allocated an owners badge so you can go along and support him, watch him being saddled and join Richard and the jockey in the paddock before the race. The added bonus of The Adlestrop Club is that membership also includes a monthly social event of a variety of different experiences. For more details on the Club, please click here.